With each passing day, we are spending more and more time and resources on different social media platforms like Twitter, Facebook, LinkedIn, Pinterest and blog networks to communicate an organization’s messages, build a community, protect and enhance reputations, drive sales and accomplish other organizational goals. But the question is, are we doing it correctly? 1. Is your content engaging? Engagement is one of the most vital areas of social media to measure. A good social media marketer needs to know when he/she should post content to generate optimum engagement and provoke a reaction. When you release your content, are you trying to create conversations with your fans, get people to ‘like’ the page or retweet your tweet? There are different ways to measure engagement but the key is that people see your message and interact with your brand. Sometimes, your content might not be effective, but don’t give up. Try changing the message, and then measure the type of response you receive. Look at what your competitors are doing and evaluate their outreach. Share information that makes your brand unique; this will likely produce the greatest audience engagement. 2. How relevant is your twitter content to your followers? The more your social media content is ‘shared’, the more confidence you’ll get that you are creating the right kind of content. So, if the content sharing rate is high, you’ll know that your content appeal is working. Try and increase your monthly RT total. And enter ‘ RT @your_Twitter_Handle_Here’ = Total number of times your content was retweeted. 3. What amount of Facebook messages are actually seen by your fans? 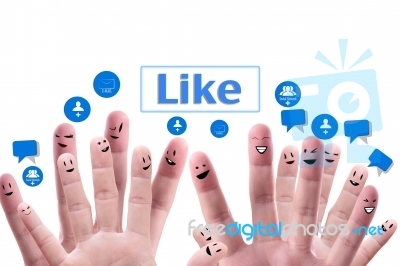 When you create a Facebook page, it is necessary to make sure that those who ‘like’ the page, revisit it. Once you’ve created the page, you have to regularly post valuable content to your fans’ timelines. Only 15% of your Facebook messaging, a statistic directly reported by Facebook, ever makes it through to your followers’ news feeds.